Parental Ideas: Movie Night and Billy Joel Night at Fenway Coming Up! Movie Night and Billy Joel Night at Fenway Coming Up! Hey guys! There's two theme nights I'm excited to tell you about coming up at Fenway: Movie Night on 7/26 and Billy Joel Night on 8/1! 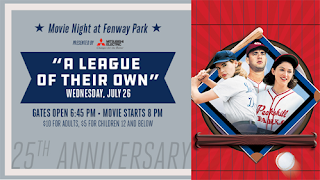 On Wednesday, July 26, Red Sox fans of all ages are invited into the ballpark to watch the iconic movie, A League of Their Own, on the videoboard in center field to celebrate the 25th anniversary of the film. Prior to the start of the movie, fans will have the chance to walk the warning track where they will have the opportunity to meet and greet with former All American Girls Professional Baseball players Maybelle Blair (All the Way Mae), Shirley Burkovich (Hustle), and actress Tracy Reiner, who played Betty Spaghetti in the film. 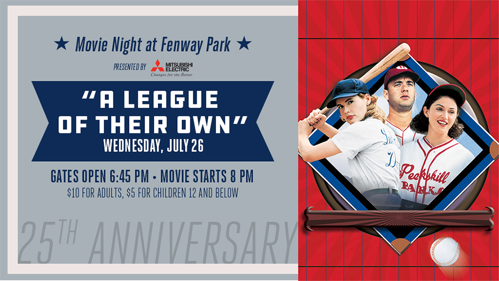 Tickets are $10 for adults and $5 for children and are available at redsox.com/movienight. The event is free for Red Sox Season Ticket Holders. 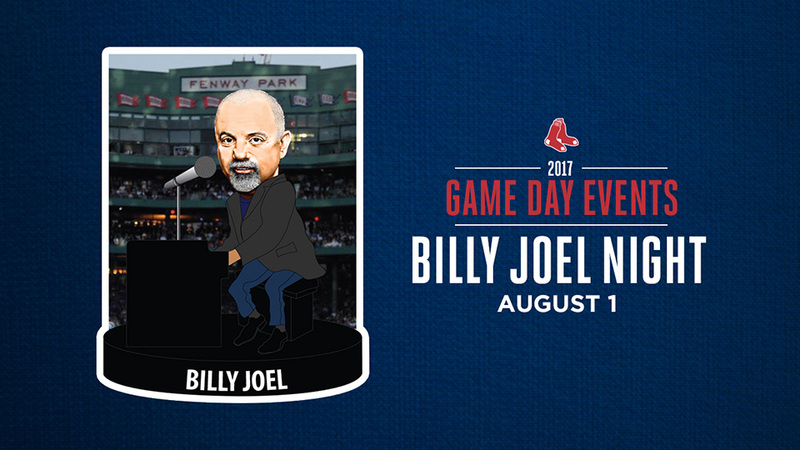 On Tuesday, August 1, the Red Sox celebrate Billy Joel and his unprecedented 4th consecutive sold out show at Fenway Park! Billy Joel Night, will include a pre-game concert on Yawkey Way by Heart Attack Ack Ack Ack Ack Ack, a Billy Joel cover band. 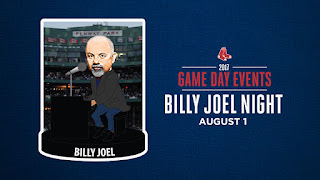 Additionally, all tickets ordered through this link, http://www.redsox.com/billyjoelnight, will receive a limited-edition Billy Joel bobblehead commemorating his performances at Fenway Park.